After the request for an all abs workout from bootcamp, another request came for an all legs workout. A lot of people in the class said they wanted an all legs workout to focus on before the start of short & swimsuit season. 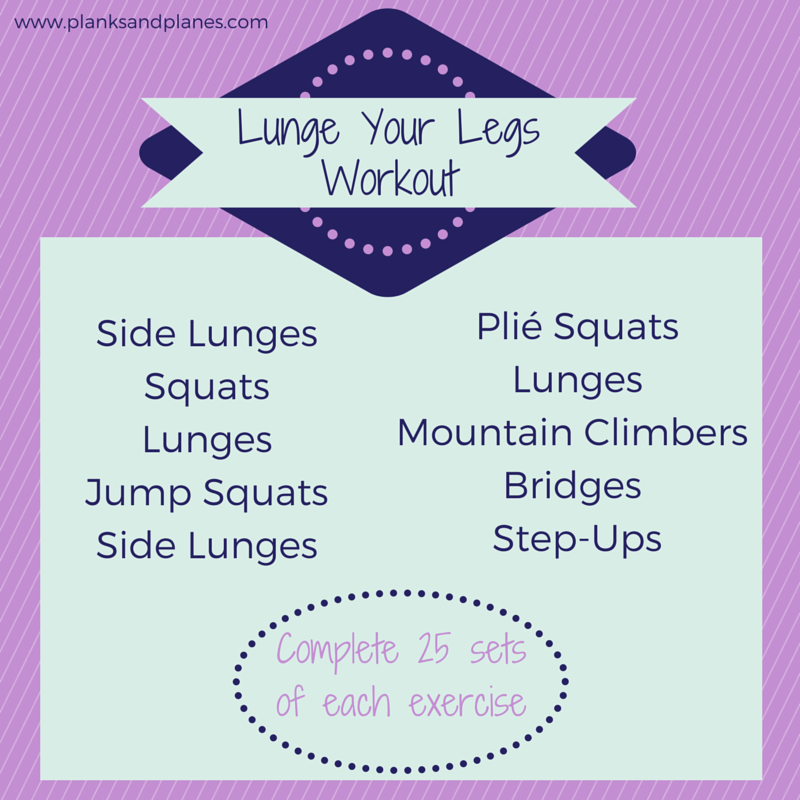 This is a great workout that focuses on lunges and cardio. All of these target your legs and will leave those legs feeling like jello! Enjoy! Here are the exercises for the workout. After a warm up, complete 25 sets of each exercise. Finish with a cardio cool-down. Tell me: What is your favorite to workout- abs, legs or arms? This entry was posted in Bootcamp, Fitness, Group Fitness, Health and tagged Bootcamp, Fitness, Group Fitness, Health. Bookmark the permalink. My favorite workout is a combination of all three!